A - B - Seymour: Late Currently and Turkey Freebie! Visit Farley to make your own Currently! I love the colorful leaves, but I'm ready for them to be out of my yard! I am trying really hard to have my Christmas shopping done by early December. I'm not really a last minute shopper, but I want to be done in plenty of time this year so I can relax and bake cookies. Yum! I love Pandora's Children's Christmas songs. My kiddos love it too. We listen a lot during writing and other quiet activities or when they're supposed to be quiet. Packing up is a great time to listen! One quick funny story before I go work my magic on this house! We're writing persuasive sentences this week so my kiddos are trying to persuade me to give them a cookie. We had a cookie election today (chocolate chip won!) but now I have these leftover cookies (the losers). I told them if they could persuade me, I would share the leftovers with them at the end of the week. We made a bubble map and wrote down some ways they could persuade me such as being a hard worker, a good listener, not being a bully, etc. Well, one little cutie wrote "I think you should give me a cookie today because you look lovely". While that wasn't exactly what I was wanting, I thought it was adorable. 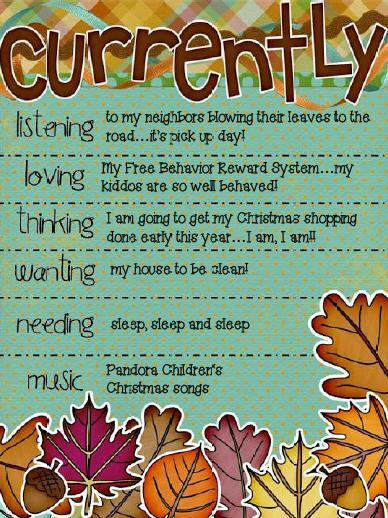 For reading all of my rambling, here's a freebie from my new November Activity Pack. Enjoy! I LOVE class DOJO! 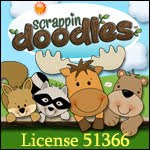 My kids love it and it was so hepful during parent conferences! Our class is working toward having 90% positive comments and they will earn a popcorn party! I love your cookie election idea! What a great way to teach children the importance of voting! Confession: I hired a cleaning lady to come once a month. She's a family friend so the price is way too reasonable and it's well worth it! We stress so much with school, it was just one way to take something off my plate! I would love for you to stop by my blog if you have a chance! I'm your newest follower! Found you through currently...because I break the rule of 3 and read back comment back on as many as I can. I love the traffic it brings to our blogs. And I agree, Christmas shopping needs to be done early for me as well. I just did my first Farley as well...So with you on the clean house, xmas shopping AND Pandora. Loves me some Pandora! !